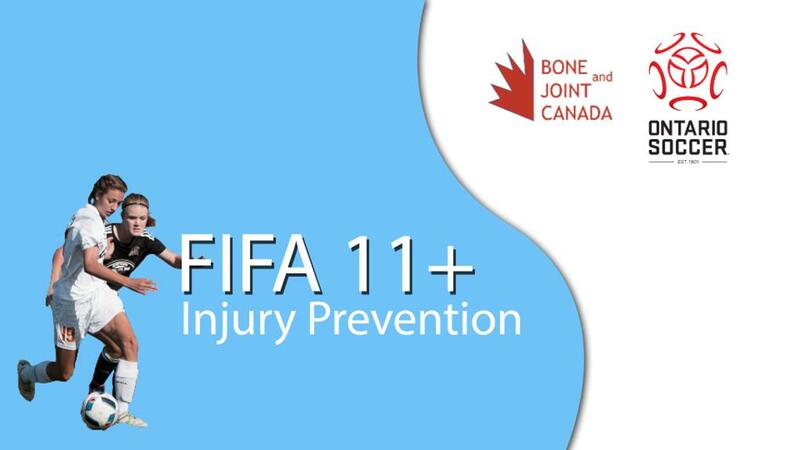 With the support of the Ontario Trillium Foundation and the Canadian Orthopedic Foundation, Ontario Soccer and Bone and Joint Canada brings you a video series to get you acquainted with the FIFA 11+ program. Featuring two of Ontario's brightest players in Jayde Riviere (OPDL, Markham) and Anthony Sousa (League1 Ontario, North Toronto) the series walks you through this injury prevention program, which is designed to reduce injuries among male and female players aged 14 years and older. FIFA 11+ was developed by an international group of experts and its effectiveness has been proven in a scientific study. Teams that performed the FIFA 11+ at least twice a week had 30-50% fewer injured players. FIFA recommends that the program should be performed for injury prevention at the start of each training session at least twice a week. It takes around 20 minutes to complete. For all exercises, correct performance is of great importance. Therefore, the coach should supervise the program and correct the players if necessary. Coaches are also encouraged to participate in upcoming FIFA 11+ coaching training workshops and attend sessions to learn more. Click here to review the FIFA 11+ manual.